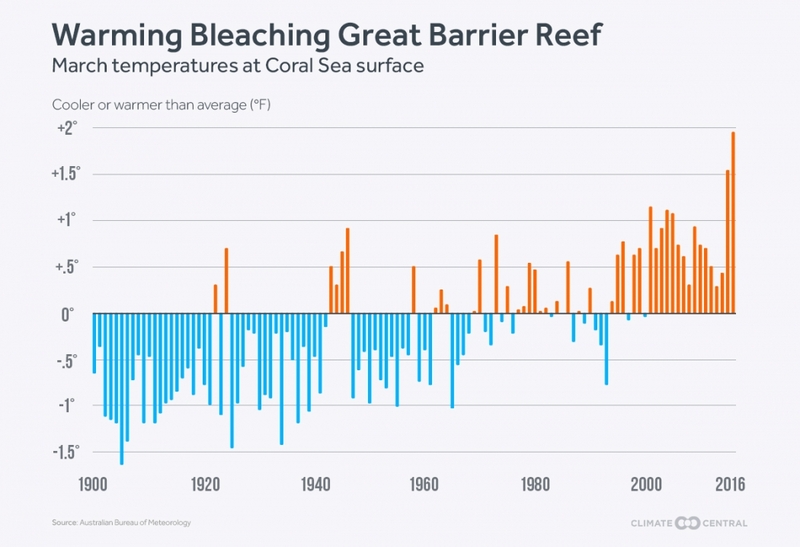 Bleaching of the Great Barrier Reef. The scientists found March Coral Sea temperatures are likely to be 1.8°F (1°C) warmer now than before humans polluted the atmosphere. Temperatures recorded by the Australian government last month were slightly higher than that, in part because of a fierce El Niño. The warm Coral Sea waters have fueled the worst mass coral bleaching ever recorded on the World Heritage-listed reefs, which are withering from warming and acidifying waters, coral-eating pests and agricultural pollution. 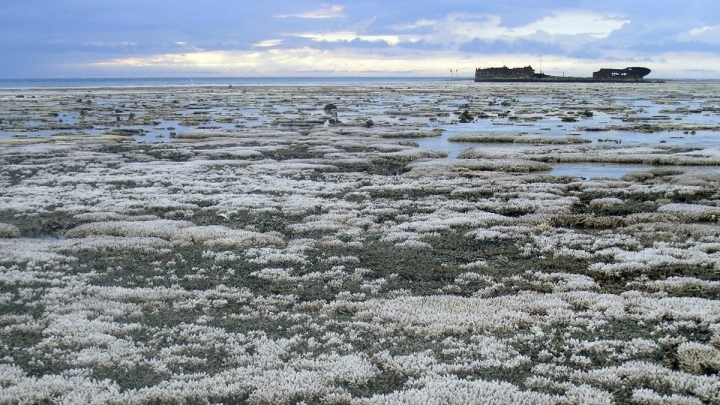 Bleaching occurs when warm waters cause the colorful algae that provide food for corals to release chemicals that are toxic to their hosts, and they are spat out. Corals, which are rigid animals that shelter rich ecosystems, can recover from bleaching. But persistent high temperatures, overfishing and other environmental stresses make it more likely they will starve and die. Following global average temperature records set in 2014, 2015, January, February and March, coral reefs from Florida to India have been devastated by the third mass global bleaching event recorded. The first occurred in the late 1990s, leaving one out of six of the world’s corals dead.